Charts provide a synthesis and visual overview of information that helps in teaching, learning, and review. Facts, relationships, parallels, and contrast are grasped easily and quickly. 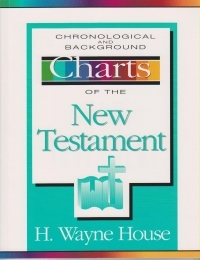 The 75 charts in Chronological and Background Charts of the New Testament are divided into four broad categories: general material, backgrounds to the New Testament, the Gospels, and the apostolic age. The charts cover a wide range of topics, from basic matters such as chronological list of the books of the New Testament to less familiar subjects such as "The Roman Military System" and "Early Patristic Quotations of the New Testament."